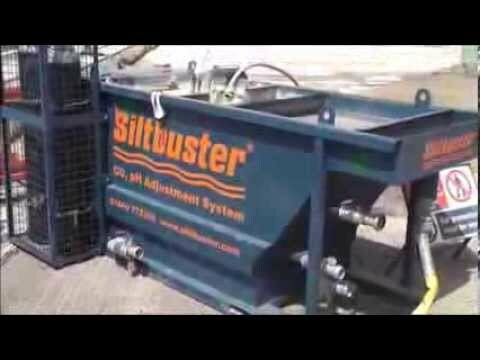 The Hydro-Demolition (HD) unit is compact, light weight, low maintenance and can be used at ground level or installed and operated from a suitable road ready trailer. It's ideally suited for use on road works projects which require the removal of all equipment at the end of the working shift and restricted access areas such as multi-level car parks, etc. The HD unit is easily transportable and an effective means of treating high pH, sediment laden blast water from hydro-demolition applications. The HD unit operates continuously at flowrates of up to 5m3/hr and can be powered from an external 240V power source or its own battery.